The Blinds by Adam Sternbergh – Judge Tyler Coates – a sci-fi thriller about criminals having their minds wiped and a second chance at life. Fierce Kingdom by Gin Phillips – Judge Sarah Weinman – the lengths a mother will go to protect her son, thriller for sure! This book is massive! Little & Lion by Brandy Colbert – Judge Katie Cotugno – a story of love and family, a step brother with bipolar disorder and falling for the same girl. 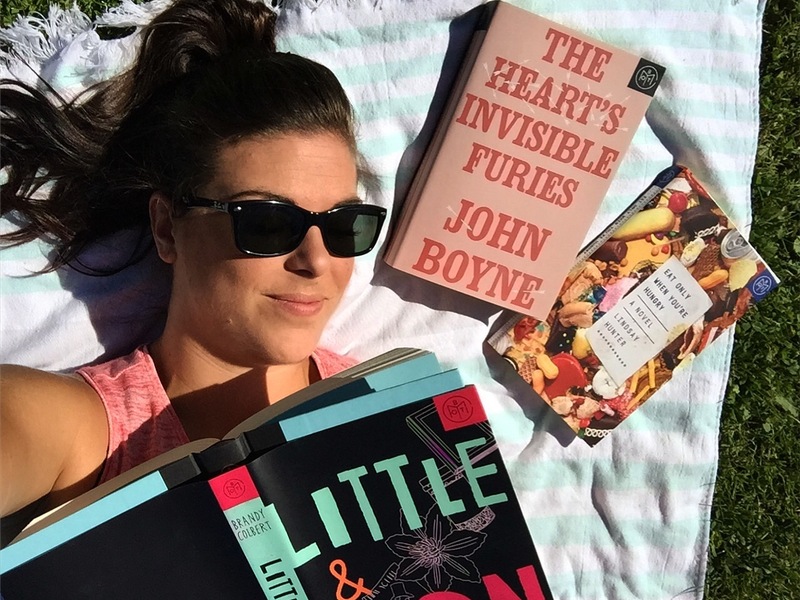 The Heart’s Invisible Furies by John Boyne – Judge Liberty Hardy – trying to find your identity and where you belong. Eat Only When You’re Hungry by Lindsay Hunter – Judge Nina Sankovitch – a story of addiction and a road trip a father takes to find his son only to realize mistakes he’s made on his own.